So the Republic is saved. Macron, the outsider from the inside, will be the new President and the challenge of the Front National has been dismissed as the upstart revolution. But somehow the doubts linger. Le Pen polled 34% of the popular vote in the second round, a quite remarkable showing for a party that remains, despite the removal of its founder, a profoundly racist and extreme right platform, albeit one attempting a disguise with the flimsy clothing of ‘respectable politics’ and the ‘resignation’ of its candidate from their leadership between rounds one and two. Further, turn out at 60% shows that 40% of the electorate were either unconcerned about the likelihood of a Le Pen victory or so anti Macron’s centrist, EU positive, globalist stance that they could not bring themselves to support that over Le Pen’s murkier platform. France remains, like the USA and the UK, a deeply divided, confused and resentful nation, shorn of its belief in the power of its own founding myths and riven by a succession of self interest groups and higher principles protagonists; unclear in its role in the 21st century and struggling to come to terms with a new identity forced upon it by a parade of competing values – individualism vs globalisation, global trade vs a role as the protector of the ideals of Western democracy and equality, lynchpin of the concept of the separation of church and state dealing with an immigrant culture from its former territories that holds religion and government fused to varying degrees. The success of a Macron presidency is now vital for all those who oppose that which the FN represent but is far from assured. As many point out this is a President without any representation in government and the upcoming election feels like a twist or bust turn of the cards. The unity that removes FN from the equation at Presidential elections is unlikely to hold through Macron’s term without support from a En Marche majority and it will be all too easy for FN to pick apart any failures as the work of the ‘elite’ in new clothes. It’s not hard to imagine that the overriding feeling at FN headquarters will be a contentment with progress well made, this always felt like a dress rehearsal for the next presidential election for Marine Le Pen; the one she can really win, and the forces against Macron are already legion and likely to multiply in the weeks and months ahead. Almost immediately Macron has the unenviable choice of appointing a Prime Minister where there are no options that cannot be shot apart with the simple cry of ‘business as usual’. Macron may come to be seen as the last stand against the barbarism that many of us regard the FN to epitomise. Western democracy is poised on the precipice of disaster and one more shove could be fatal, a quick look around the ‘freedom loving countries’ that have protected our peace and security since 1945 shows a distinctly worrying trend of atomisation of consensus and the rise of fringe opinions to the centre. That would be a shove that would sweep away all the certainties that define the world I have known since birth and yet we are all complicit in the destruction. The challenges are many but we need to accept, recognise and challenge the key pillars if we are to make any sense of the situation and discover a new way forward; we are running out of Macrons. As with many of my peers I retain a love of the work of Adam Curtis. His ‘Century Of The Self’ remains a vitally important piece for understanding our world. In a climate in which individual rights trump those of the collective and politicians and lawmakers defer to that position we are unlikely to find a solution to the problems that present themselves across Western democracies in a way that avoids the return or emergence of fascistic states. The process is simple to explain. Mainstream politicians find it impossible to service the competing demands of their society as no section is willing to accept a reduction in their immediate comfort for the benefit of the whole. Such paralysis and failure infects the body politic and faith in the political system fails. Extreme groups offering simplistic solutions gain traction. Social media echo chambers and partisan media outlets entrench opinion through the dissemination of ‘facts’ that range from informed opinion to downright falsity unchallenged or refuted to the point of no further debate. Sound familiar? It’s a process already in play. The irony of fascism, that it claims to benefit the people whilst demonising sections of the populace and, ultimately, degrading the whole, may be a fact provable through historical example but retains a power to charm when the mainstream fails to deliver or is perceived to have failed to deliver. Witness Le Pen’s claim to be able to remove terrorism from French soil, both easily refutable with logic and powerfully divisive, creating good and bad camps of French citizens and casting the world in terms of them and us, the hallmark of a fascist view. In a world in which our security is regarded as more important than those of our fellow citizens, in essence the world as we have made it, the ability of any centrist political force to conduct a rational debate that begins with the reality that no security is absolute is becoming near to impossible. 2. Capital is not a force for good or evil nor is it a system in itself. I grew up in a climate of ‘Reaganomics’ and ‘Thatcherism’; in a world in which the primacy of the markets replaced the idea of government as the force for good. This sleight of hand, which took power over our lives from those who we had chosen (however flawed) and handed it to those we had not, was unchallenged in any meaningful way. Then, as now, the left fell into acrimony over the purity of their stance and delivered weak leaders and fanciful policy, both here and in the USA. That lack of a challenge was the direct result of a crisis, the recessions of the mid to late 70’s were laid squarely at the door of the unions and organised labour, the fecklessness of those who believed in state provision over personal achievement put the moderate opposition to the free market on the backfoot. Unable to disengage from their more radical fringes in the public eye the moderate left caught the blame for a complex situation in which no one player was wholly responsible. The parallels with and precedents for our current situation in that moment of birth for the idea that the state is a bar to growth rather than an engine for it are obvious. We are now on the second phase of that process, the weeping away of community and national solutions to problems to be replaced by an individualist, market driven fight for survival. In the UK from the late 70’s that new way led to an explosion in the society of aspiration and acquisition, a clean break from the period that went before of council housing and public utilities and regulation of capital. A generation of selling and deregulation laid the grounds for the world we now inherit and created a society where those who had enough, added to those who had too much, supplemented by those who believe they can achieve enough will forever trump those who do not. By removing a sense of duty to our fellow citizens from the equation, by creating a representation and government that serviced demand rather than guiding belief and morality, the deal was sealed. What has followed has been a political management strategy that has avoided any of the big questions by leveraging cheap capital from globalisation into a services economy that is now reaching its logical endpoint of saturation followed by stagnation and, ultimately, collapse. Mainland Europe was behind on that Thatcherite curve, the differences between German capitalism and the UK version, the power of French unions and the social outlook of Scandinavia and the Low Countries ensured that the UK and USA were outliers in this removal of the post war social democratic consensus but, in most cases, the catch up is well underway. What we face is a breaching point. Given the reliance of Western democracies on the power and logistics of privately held companies and banking systems we may already be beyond a point of no return. If the banking collapse of 2009 told us one thing it is that the very idea of an economic meltdown is not feasible and therefore, it follows that the banks and their associated financial services allies are in a place where regulation is at best tricky and, at worst, impossible. If we cannot imagine a world in which loss making banks are permitted to fail or those institutions can be penned in by regulation to ensure that excesses of behaviour are punished then our only power over them is removed. That switch of power from the elected to the unelected is at the heart of the strategy that targets ‘elites’ so beloved of the Trumps and Le Pens of this world. In the UK context the waters are muddier, the UKIP vote and the Brexit vote were undoubtedly propelled by a disgust at those same ‘elites’ but their embodiment transformed from financiers to Eurocrats, a direction of travel adopted by May’s new Conservative party to great effect, however dangerous such a strategy may be. Capital without regulation knows no morality beyond those who control it. That is not a basis for a free and fair society open to all. Whether Von Hindenburg’s idea to control Hitler from within or classical Rome’s complacent belief that the greatest civilisation the world had ever seen could never fall, human history provides ample examples that progress and enlightenment is not a linear path. Indeed, the enlightenment itself fell with the barbarity of the French Revolution and saw retrogression through the Napoleonic period and its catalogue of European conflict, subjugation, colonisation and disenfranchisement. Republican Spain stood divided against Franco and fell. Such things often happen. We often see the past as something that couldn’t happen again despite the lesson that all things are possible in all times, the Germans of the early 1930’s could never believe that their country’s coming two decades would encompass mass slaughter, genocide and partition. Complacency over the threat and focus on immediate party interests (the SPD / Communist schism could be the current fragmentation of the UK left and the refusal to collaborate on an anti-Tory strategy for our upcoming general election) kept the door open both for the Nazis to withstand electoral setbacks and to grow their numbers election after election through the simple ploy of being outsiders who, Pilate like, could wash their hands of the shenanigans of the ‘establishment’ parties as the country stumbled. It already worked for Trump and UKIP, is being adopted (outrageously given the background) by May and will still be there in five years for Le Pen when she goes again. And NO, I am not saying any of those are Hitler nor that they are all cut from the same cloth, rather pointing out how the same interests create the same strategies with the same failures time and again. We are all on our way to being redundant. That removal of control from capital is about to really come into its own as the workforce is robotised. I have yet to see a single mainstream politician or political party espouse a workable solution to a generation that will be faced with little or no meaningful employment options when they reach their majority. If the Arab Spring was a signifier of what happens when whole generations are left without prospects then Europe has been playing with this particular fire for the same amount of time, utilising short term options to disguise the malaise. The growth of university education, workfare, compulsory education to 18, short term / zero hours contracts, the ‘gig’ economy; these are all sticking plasters over a gaping wound, a fiddling of the figures for short term gain that exacerbate and deepen the problem. Capital will not offer the solution nor will the market. The market function is to produce at the lowest price for the highest profit and computerisation is already well on its way to making even the (near) slave labour empires of the developing world a thing of the past. Whilst Le Pen’s protectionism (And Trump’s for that matter) offers some form of solution, however Luddite, to someone or something taking away your jobs, the mainstream political response is non- existent. Commentators and remainers laughed, albeit darkly, at the Brexit interviews where dispossessed former workers in the North and East Anglia (and elsewhere) explained their vote as a way of protecting jobs from outsiders but whether Poles, Mexicans or robotic arms, this problem is here to stay and about to get far, far bigger. 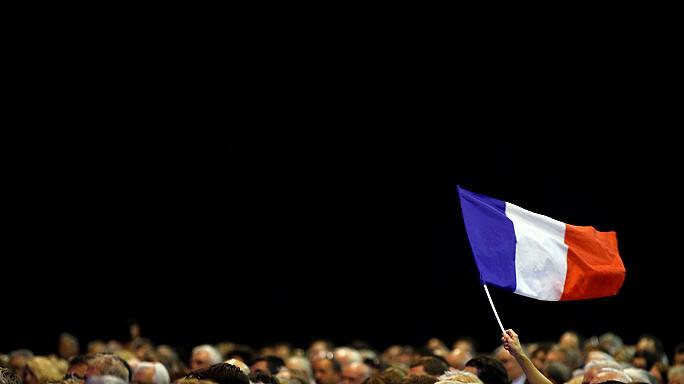 The transfer from blue collar wipeout to white collar has begun and without a strategy to find purpose and meaning for those swept aside we risk creating a perfect storm not just for Marine Le Pen but others like her across the Western world. France has been inured from the worst of these effects through a combination of a culture of (often violent) protest stopping the advocates of reform in their tracks and a stronger union base that can still cripple the country with strikes in a way that the UK abandoned in the Thatcher years. Among Macron’s key problems is that public spending has to decline in France, the country simply cannot continue to prop up social contracts at its current level (59%). His failure will be Le Pen’s success. So not just Macron but all those like him who symbolise a flawed solution to our problems face greater issues in the years ahead. His current solution of a Blairite social democratic contract with the public that abandons the redundant socialism of the past and promises to rein in capital to the benefit of all is, like Renzi in Italy, likely to prove untenable. Bigger changes, greater engagement with the public, the changing of hearts and minds are necessary to achieve the society that can stand unbowed against the repeated, and increasingly effective raids and polemic of the right wing protectionist, isolationist and, in some cases including Le Pen, outright fascist voices that threaten certainties we naively thought of as absolute. Unless he and those alongside him can challenge the status quo and reimagine our society on challenging but, ultimately, more progressive bases then in five years we may realise we have only won a battle in France, not a war and, further, that the war has now spread to a point where it is unwinnable for years to come.